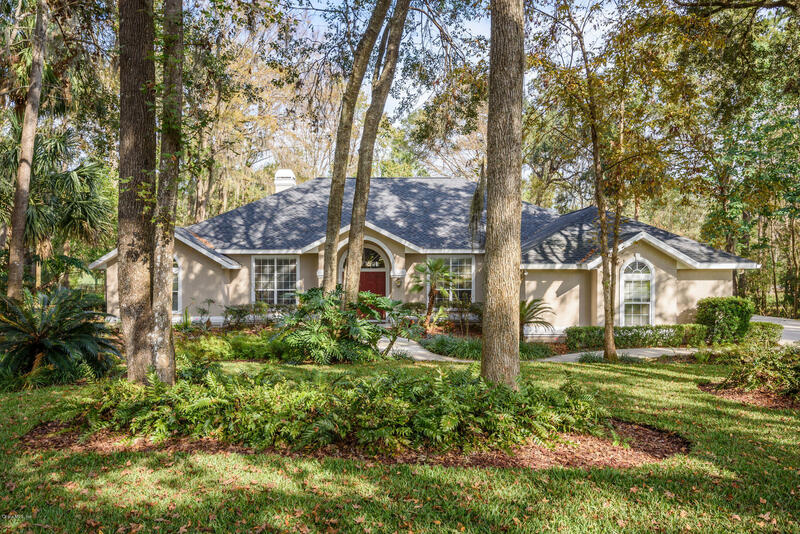 Very nice 4/3 pool home located along 3rd fairway at the Country Club of Ocala. Foyer leads to formal dining room and living room, which could be used as an office or study. Kitchen, along with breakfast room, opens to family room w/french doors leading out to covered lanai and screen enclosed pool area. Master suite has sitting room, his and hers closets and master bath with separate tub and shower. Features include cathedral ceilings w/skylights, split bedroom plan and heated pool with large screened lanai. Some of the recent updates include pool remarciting in 2017, exterior paint in 2016, new roof in 2015, new solar system for pool heater and a/c replacement in 2011. Home has lots of natural light and nice outdoor living space which offers pretty views of golf course.